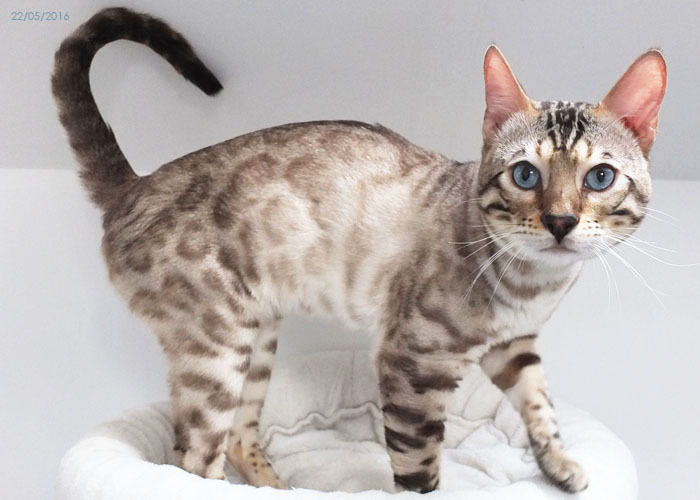 Polo is an SBT seal spotted lynx (also known as blue eyed snow) Bengal boy. 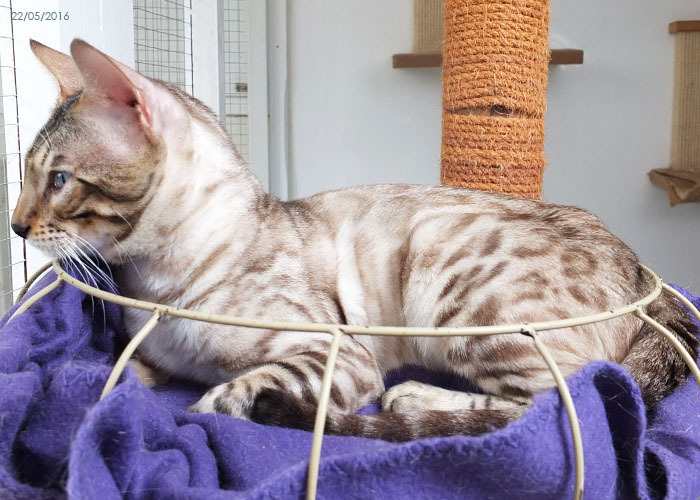 He has an excellent pedigree and I am proud to be continuing the lines of his sire Sittingpretty Barry White and grand sire Sittingpretty Casper; two of my favourite home bred Bengal boys of all time. Polo is an average size boy but he still has time to grow. 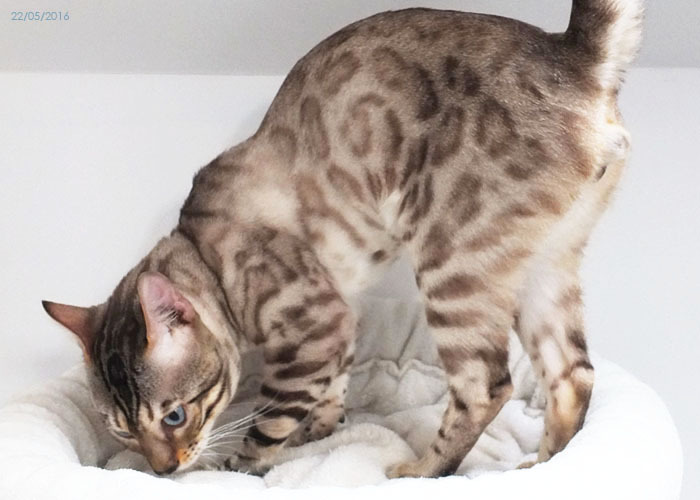 He has a strong build and a good body structure with a well proportioned head and tail. 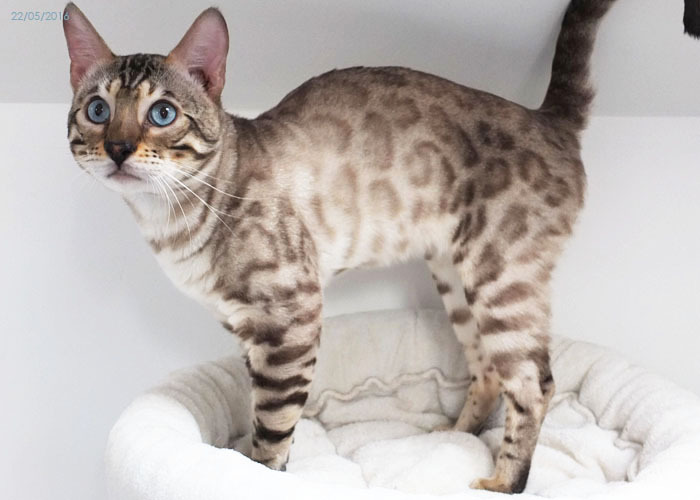 He has large nocturnal eyes, a wide nose bridge, puffy whisker pads and a near straight profile. He does lack a rounded top skull and his ears are a bit too large. They are however quite well placed and face forward in profile view. Seal lynx are usually born all white and their markings develop later on. 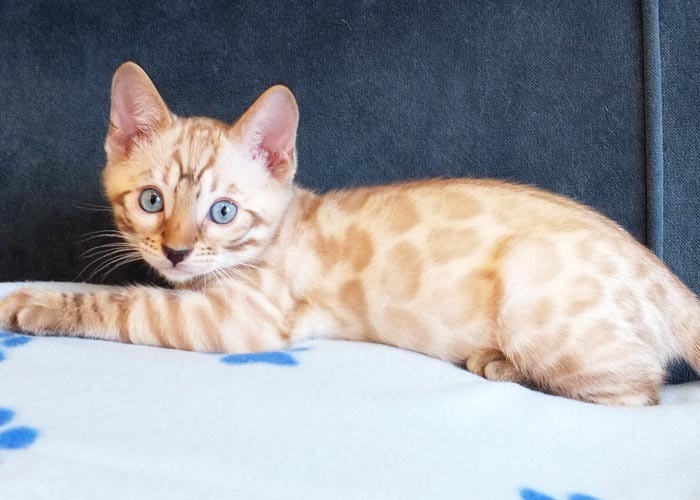 But Polo was born with dark markings and his doughnut rosetted spots were visible from very early on. I did wonder if he may be a charcoal snow as he appeared to have the indicative markings around his eyes and on his nose bridge. However DNA testing proved otherwise. Polo is a very sweet and loving boy. He has definately inherited his dam and sires temperament. 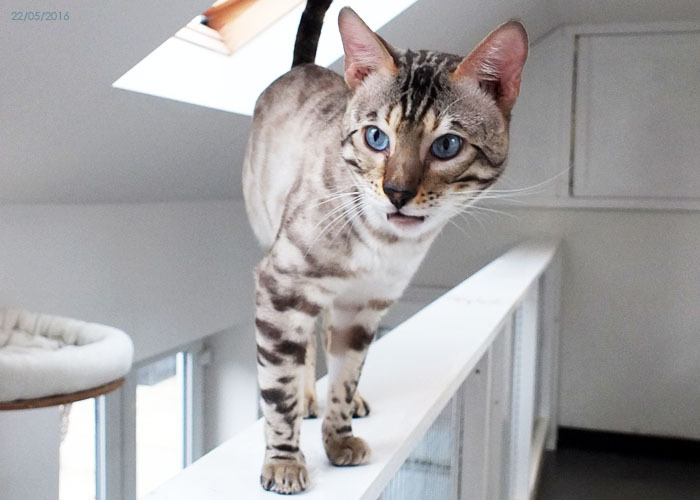 He is also very accepting of other male cats which is lovely as generally speaking, entire male cats fight. He is very vocal and likes to talk! He also enjoys running on the cat wheel. 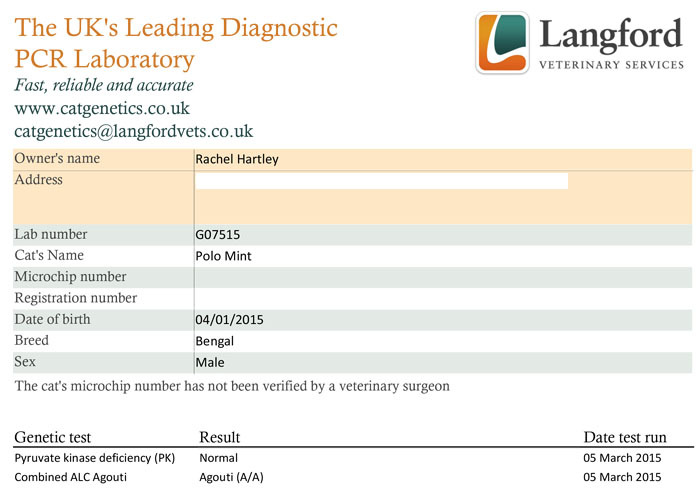 Above: Langford Veterinary Services certificate of results for the testing of PK Def (Pyruvate Kinases Deficiency). Result is N/N which means Sittingpretty Polo Mint is Normal.